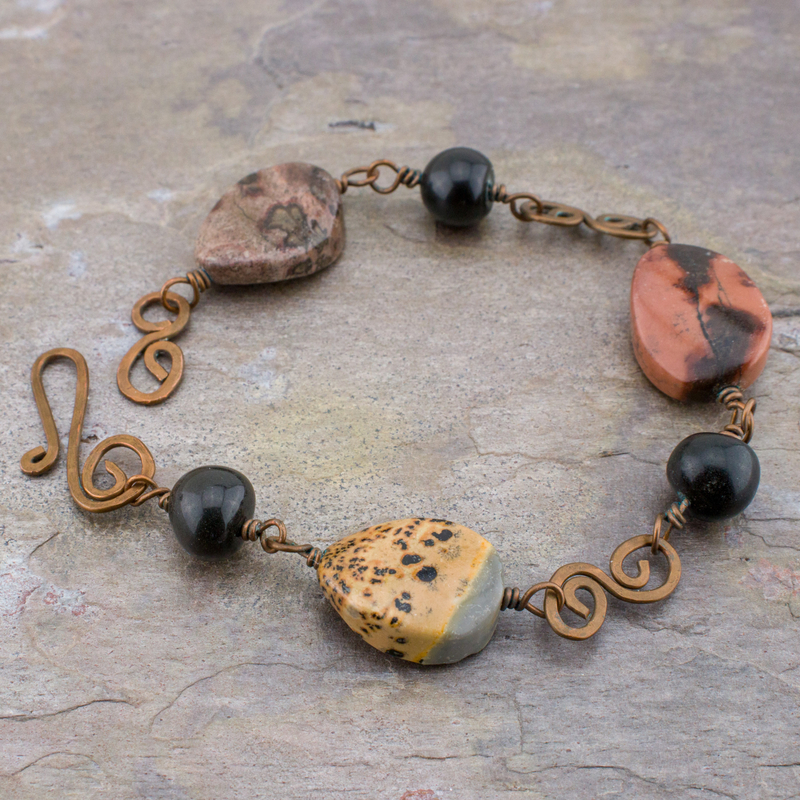 Artistic stone (a type of jasper) with wild abstract patterns and ruddy earth colors is paired with black stone and dark patinated copper links in this bracelet. The natural stone jasper beads are 18mm (about ¾") long and 13mm (about ½") wide and have an organic wave shape. They are finished to a semi-gloss sheen. 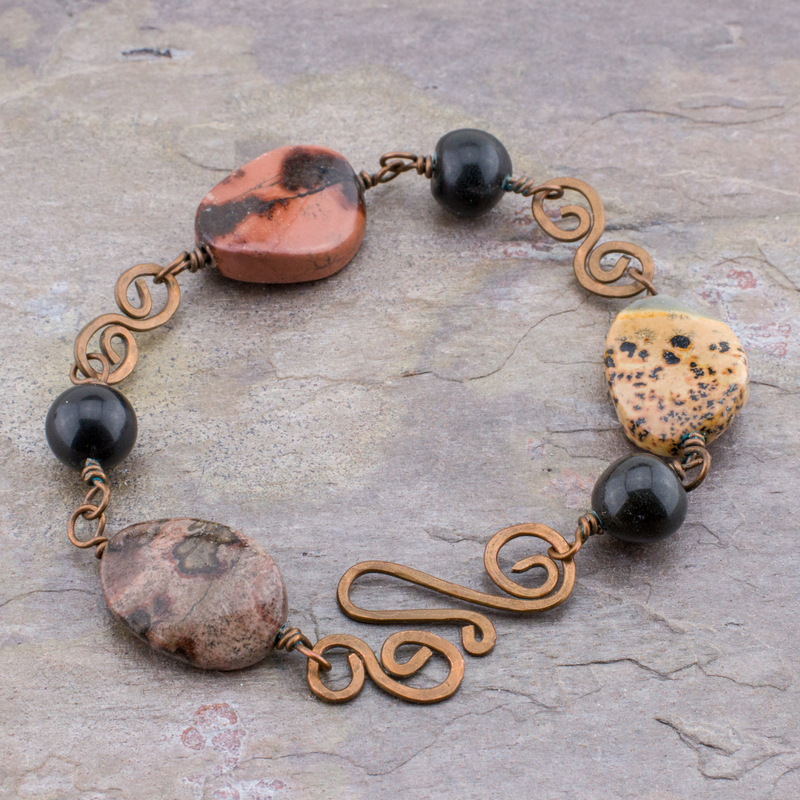 The bracelet features three artistic stone beads of very different coloration and pattern: from rusty wine to chocolate brown, to spotted tan and grey. Three black stone pebble beads and two hand forged copper wire links ground the design. The bracelet measures just slightly under 7 and 1/4" and so is for a slightly smaller than average women's wrist. It is terminated with a handcrafted copper hook and eye closure that echoes the style of the links I made for this piece. The copper has been antiqued to a dark brown patina. It is waxed. 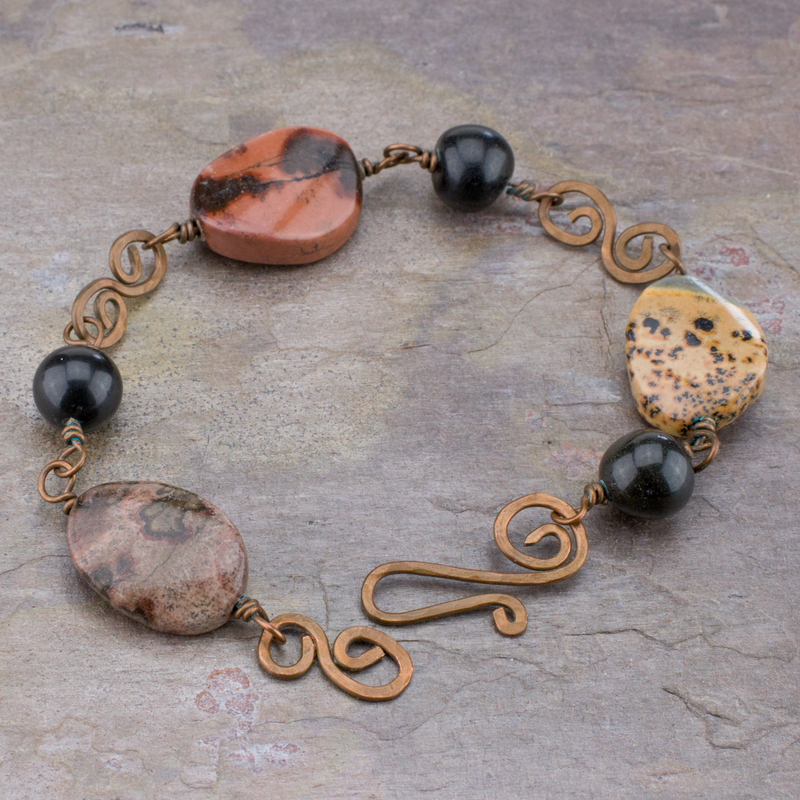 The darkened copper complements the earthy colors of the jasper stones. Clean this antiqued copper only with a soft damp cloth as needed. Please do not use a jewelry polishing cloth (unless you wish to remove the patina). 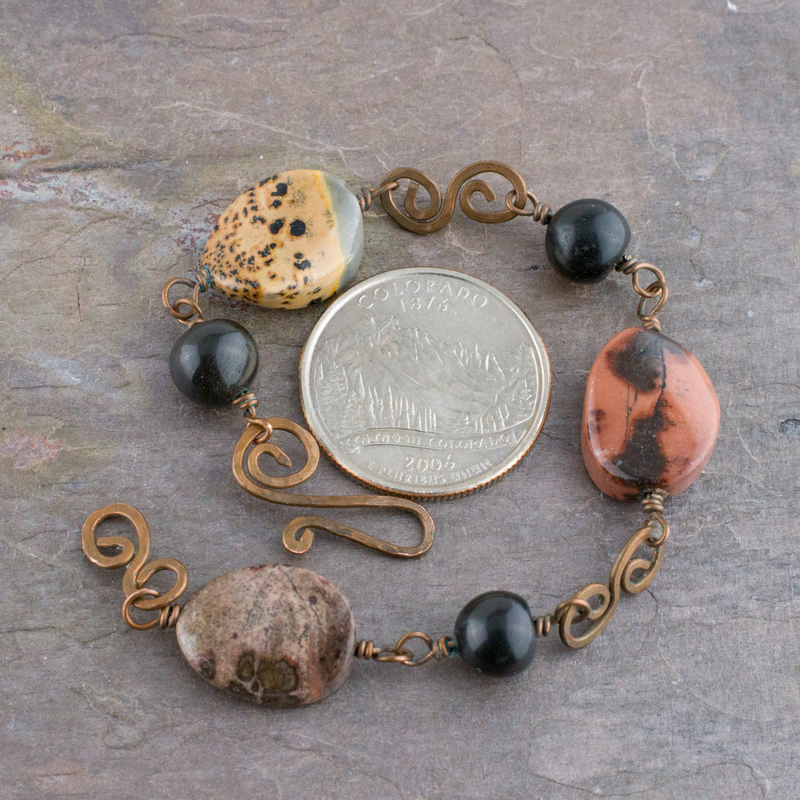 Handcrafted artistic stone jasper and copper link bracelet is sized for a small fit at 7.25-inches. It is a simple style that is great for stacking. This bracelet cannot be altered - but please do inquire about the possiblity of making one to fit you. Any stones that I have on hand would display unique color and pattern combinations. Click this link for more natural stone bracelets: https://www.pebblesatmyfeet.com/catalog/artisan-braceletshttps://www.pebblesatmyfeet.com/catalog/artisan-bracelets. Also visit me on Etsy and follow Pebbles At My Feet on Instagram, Pinterest, and Facebook. Thanks for stopping by!